Hi, I’m Debz Hobbs-Wyatt and I work from home as a literary editor on Canvey Island, which is about forty miles from London, and yes it is a real island – just! And no you don’t get there by boat! I also have a small publishing company called Paws n Claws which publish charity books for children, and am a partner in a short story publishing house, Bridge House Publishing – but above all of this I am a writer; first and foremost. To misquote Descartes, I write, therefore I am. I wrote my first novel as a child (nine years old as it happens and no it was never published!) and won my first writing competition aged ten. I think I always knew I would one day be a writer. But writing was more of a hobby for many years; in fact my first degree was in Zoology and my first Masters in Ecology. Sure I did attend some creative writing classes and wrote the odd story, but most of my writing was technical – I worked in the food and later the pharmaceutical industry – that was until the obsession to write fiction took over! With some fifteen or so short stories published in collections and a few competition short lists (I think even a couple of wins under my belt) in 2010 I finally gave up the job to live the dream. (Some might say foolishly!) But I had to; I could not not write! And yes financially it was difficult – but I have never looked back. Poorer in monetary terms, rich in every other sense of the word! I also finished my MA in Creative Writing in 2010 as well. More short story successes and three practice novels later, 2013 was the year when it all finally seemed to come together. My novel While No One Was Watching (an American novel as you will find out) was accepted for publication by welsh publisher, Parthian Books (after many really near misses with agents! ), I found myself nominated for the US Pushcart Prize with one of my published stories The Theory of Circles, I made the short list of the Commonwealth Short Story Prize with only one other UK writer AND I won the inaugural Bath Short Story Award! It finally felt like I was moving in the right direction – some five years after my first short story was published and ten years since I made serious bid to be a writer! And trust me – even with all my editing work and the workshops I give, working for a number of publishers – I only feel now as if I have reached the start line! It’s a continual learning process. But a very rewarding one. Something for which I am truly thankful, every single day. Not many get to do what they love every day. I wholeheartedly recommend it! While my heart says it’s all about the novel, it’s the short story writing that taught me the most. As I say to the many clients I critique for, if you spend three years (often more than that) working on a novel before your finally let someone see it-- it’s a very slow way to learn from your mistakes. But short stories allow you to experiment, to play with voice, style, genre and to develop those skills-- get feedback and enjoy the rewards faster. And it helps you to find your own voice. I will add to that, that most of my novels were developed from short stories. When I looked back at my first attempts at novels and compared the writing to the stories getting accepted or winning competitions, I realised what I had to do to make my novels as good. And it finally seems to have worked! I encourage all writers, especially new ones, to learn your craft with short stories and also this allows you to build your portfolio for when you start approaching agents and publishers with bigger works. 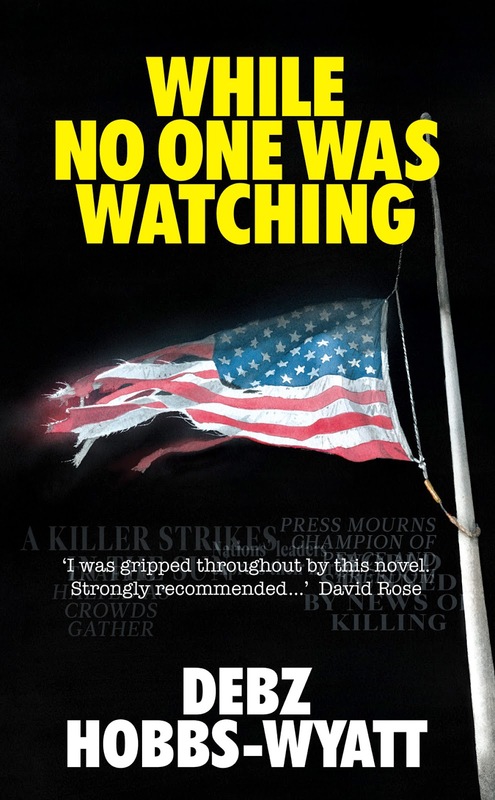 While No One Was Watching is a novel set against the backdrop of John F. Kennedy’s assassination about a little girl, Eleanor Boone, who disappeared from the grassy knoll at the exact moment Kennedy was assassinated and is still missing fifty years on. Narrated by a failing, divorced father, Gary Blanchet, who works for a small newspaper in Dallas, and a larger than life, African-American retired police psychic, Lydia Collins, the two try to find out what happened to Eleanor. (Gary somewhat unwittingly as he does not believe in psychics – until he has to!) The question is did Eleanor see something that day on the grassy knoll? But the assassination is only part of the story and in its contemporary setting deals with relationships, a classroom shooting and so much more. In a nutshell it’s about what happens when you turn your back for a second. It started life as another short story; worked on while I was studying for my MA, and it seemed to have too big a voice to stay short! In fact it was an American critique group who said this needs to be a novel! I have a lot to thank the La Crosse writers in Wisconsin for! It came as a vision actually and the idea of a mother standing on the grassy knoll holding her child’s hand, gunshots, she drops her hand and when she turns around she’s gone, seemed like something that would tap into something universal and that’s how it was born. I knew even then it was high concept and needed to be developed. I did an awful lot of research, as you must, and since I wasn’t born when Kennedy was assassinated, I had to try to capture what that moment was like. I now give talks at literary festivals and actually it was the subject of my MA dissertation-- the blurred lines that exist between fact and fiction. I loved taking a real moment in history and looking for a new angle. In fact a number of short stories since have also (not intentionally) also used real events to create a sense of time, and I am fascinated by the idea of real things happening to real people that get overshadowed by events that stop the world. Why do my novels tend to be American? Good question. Well, this is where they contrast to most of my short stories – but I have had a love affair with the states for many years, travelled extensively and have some wonderful friends there. So I guess it has become a big part of me. But the reality is I write what excites me. If I wake up with an African-American in my head talking to me that way, I find out about her and I write her. If I wake up with a British man called Billy tending his runner-beans on an allotment in East London who also suffers from bipolar (this is Runner-Bean Billy in my Commonwealth short listed story) then I write him. It’s that simple. But I have to be excited! And as I read this back I realise how much writing is a license to be a little bit schizophrenic. But the voices are okay. Really they are, aren’t they? While No One Was Watching was out a year ago in time for the 50th anniversary of Kennedy’s assassination and so this post is a timely birthday celebration! With a small press no one knows who you are and so we have to keep telling people about it! We have to be marketeers (like Mouseketeers without the ears!) and do a lot of promoting so I must say a huge thank you to Lauren for this opportunity and I hope I can return the compliment. I have a spot on my blog called In the Spotlight where I have showcased well known writers as well as clients, self-publishers and new writers so am always happy to help anyone get their voice heard. Inbox me if you want to be on there, folks! I digress; let me tell you more about what’s happened since my novel was out. Well, as well as launches in the UK, I also got to launch it in Hollywood this year (yeah really) at a bookshop organised with my publisher and so far the reaction by an American audience has been amazing! Trust me, it took a lot of research to try to capture the American voices as authentically as I could. I hope if you read it, you will agree! What was almost as magical as launching it in the US, was the day before I set off to LA, a top London literary agent signed me! I cannot tell you how that felt! Any writers out there will know that you can only reach the big presses with an agent and agents receive thousands of manuscripts and accept very, very few new clients a year. I remember holding onto the news until I got home, sitting on the train back to Canvey Island almost falling into my smile. If anyone looked closely enough they would see have seen there was definitely a dance in my step! So what now? Well my novel, still with a small press in the UK, is available in America, and thanks to my agent it has been optioned out to film companies. And in the meantime there are other novels in various stages of completion. With my agent’s valuable guidance we are deciding which we should develop as the next novel for seeking that large publisher. And fellow writers-- trust me, the wait is worth it to be the best writer you can be! So let’s see what happens next. It’s all incredibly exciting! In the meantime I continue to learn my craft by writing four to five hours every morning and then my afternoons are mostly copy editing and professional critiquing. All of which feeds into honing the craft. It’s true what they say-- don’t run before you can walk. And check out my novel on Amazon: most of the reviews are on Amazon.co.uk, so do have a read, and if you are in the US you can get the book from Amazon.com, kindle or paperback. 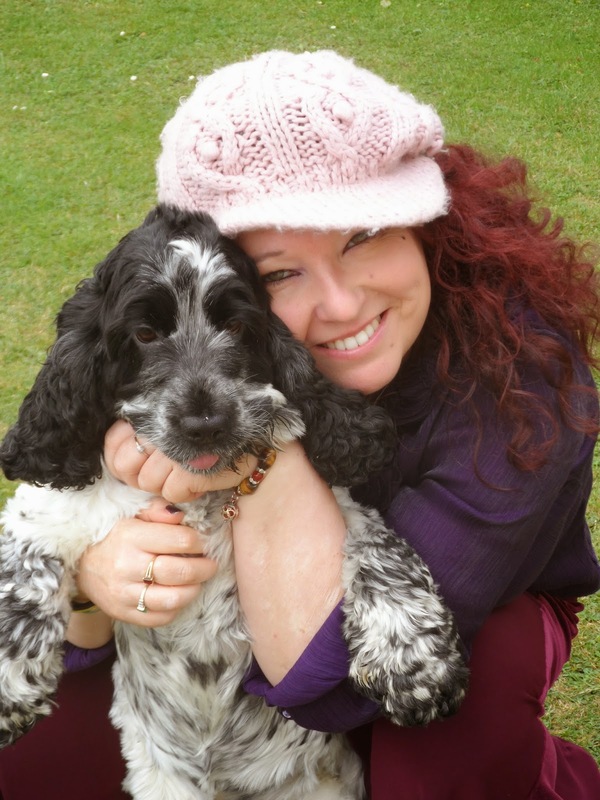 Debz Hobbs-Wyatt is an author/editor/publisher who lives in Essex with her her cats Cagney and Lacey and her crazy cocker spaniel, Rosie. She has an MA in Creative Writing from Bangor University and has had over twenty short stories published in collections. She has also had success in a number of writing competitions, including being nominated for the prestigious US Pushcart Prize 2013 and has made the short list of the Commonwealth Short Story Prize 2013 and won the Bath Short Story Award 2013. While No One Was Watching is her debut novel. She edits and critiques for publishers and writers and has a daily writing blog. Thanks for reading! Please feel free to leave questions/comments for Debz below. Thanks for having me! And the book is on offer on Kindle now too! 99p UK and $1.54 US, not sure for how long so get it while you can, if you want to of course! Happy New Year everyone!!! Thank YOU, Debz! That is great timing! Many thanks for an inspiring post and best of luck with all your writing in 2015.